This joint research initiative, a collaboration between institutes at York and McGill Universities, examines the legal conceptualization of labour exploitation. 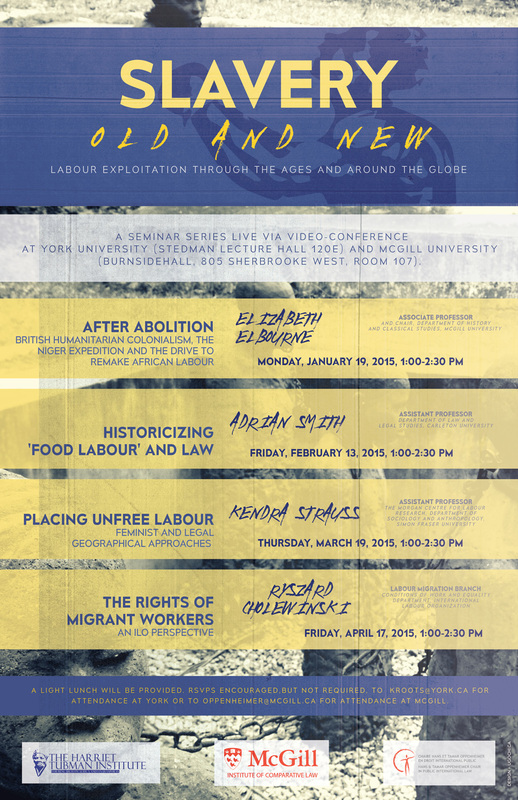 Through an interdisciplinary, transnational and historical methodology, it draws on a variety of disciplines, spaces in time, and places around the world, to explore law’s understanding of “labour exploitation” and its relationship to society and practices. For the 2014-15 academic year, the series is co-presented by three organizations : York University’s Harriet Tubman Institute, and the McGill University Faculty of Law’s Institute of Comparative Law, Oppenheimer Chair in Public International Law. A fourth organization Labour Law and Development Research Laboratory will join for the fourth installment in this year’s series. The Oppenheimer Chair, in collaboration with the McGill Institute of Comparative Law and the Harriet Tubman Institute at York University are pleased to welcome Dr. Afua Cooper as part the seminar series ‘Slavery Old and New : Labour Exploitation Through the Ages and Around the Globe’. A lunch will be served at McGill University. Please RSVP at oppenheimer@mcgill.ca for Montreal attendance. Dr. Cooper is Chair of the James R. Johnston Chair in Black Canadian Studies. 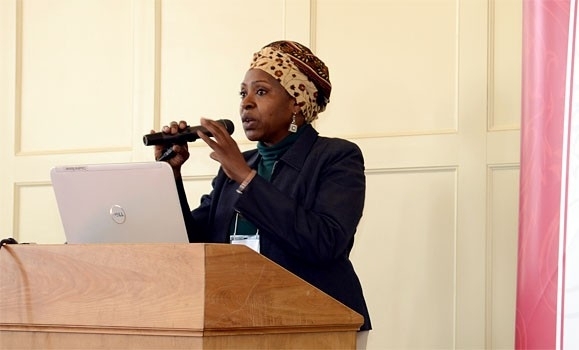 She holds a Ph.D. in African Canadian history and African Diaspora from the University of Toronto. Her expertise include slavery, abolition, and freedom, especially for the 18th and 19th centuries, gender studies, Black education, and Black literatures. Cette présentation par le professeur Jean-François Niort fait partie de la série “Slavery Old and New : Labour Exploitation Through the Ages and Around the Globe” – une initiative de la Chaire Oppenheimer, de l’Institut de droit comparé de McGill, et du Harriet Tubman Institute at York. Cet événement est organisé grâce à la contribution financière du Centre Paul-André Crépeau de droit privé et comparé. Un léger goûter sera servi. Vous pouvez confirmer votre présence à oppenheimer@mcgill.ca. 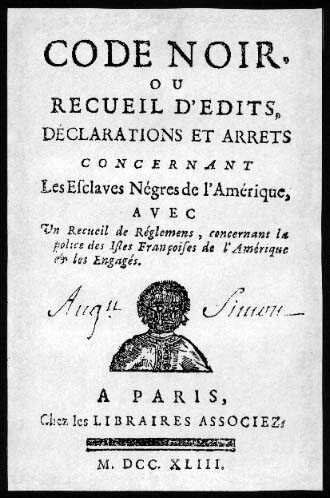 Le propos de l’intervention sera de tenter d’éclairer les rapports entre les cadres juridiques et les pratiques économiques du travail servile au sein de la société esclavagiste coloniale des petites Antilles françaises (Guadeloupe et Martinique) à travers l’évolution des règles juridiques au cours du XVIIIe siècle et en particulier deux textes majeurs : l’édit royal sur la police des îles de l’Amérique française de mars 1685 (communément appelé par la suite « Code Noir ») et l’ordonnance du gouverneur général des îles françaises du Vent sur la « police générale des nègres et gens de couleur » de décembre 1783. 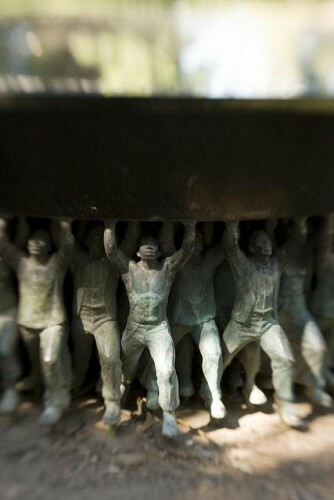 Slavery memorial in Chapel Hill, North Carolina. Photograph: Jeffery DelViscio/Flickr (Creative Commons). A Slavery Old and New Talk with Professor Joel Quirk, University of the Witwatersrand. Combating human trafficking has been widely presented as a cohesive and singular global cause, which builds upon the noble work of ‘modern-day abolitionists’ seeking to finally end slavery once and for all. The main argument of this paper is that this popular rhetoric of shared global struggle is both highly misleading and politically problematic. In its current incarnation, ‘the cause’ of ending human trafficking and ‘modern-day slavery’ brings together two major elements : i) an increasingly dense regime of law and policy which is universal in scope yet shallow and selective when it comes to effective application, and ii) a diverse portfolio of more substantive political interventions which tend to heavily concentrate upon specific locations and industries. These case-specific interventions often have little or no direct connection to parallel interventions taking place in other parts of the world. There may well be broad similarities in the types of abuses which occur in different contexts and countries, but a great deal of a creative aggregation and extrapolation is required in order to translate broad similarities into the language of a singular and cohesive global cause. Once we puncture this fictive coherence, it quickly becomes clear that there is not one global anti-trafficking or anti-slavery movement, but many different movements and actors with different agendas and interests, most of which primarily focus upon specific issues and/or localised concerns. In stark contrast to historical campaigns to end legal slavery, which were firmly aimed at the profits and privileges of the rich and powerful, most of these interventions only rarely pose a direct threat to major political and economic interests, which is ultimately a key source of their appeal. 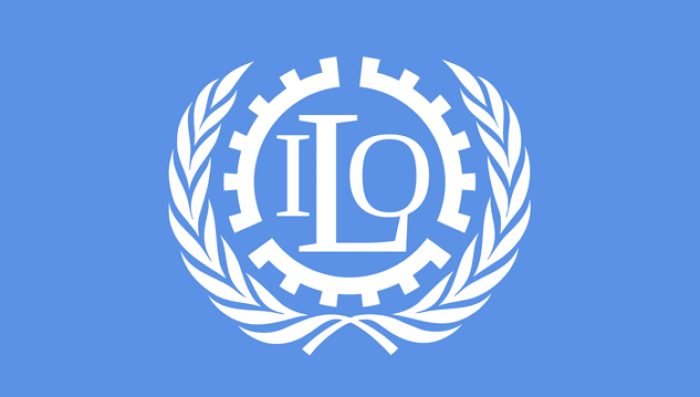 Ryszard Cholewinski works at the Labour Migration Branch of the Conditions of Work and Equality Department at the International Labour Organization in Geneva. This event will also streamed via video-conference to York University (Stedman Lecture Hall 120E). Lunch will be provided at both locations. This talk will explore how feminist and legal geographical approaches to unfree labour – in particular forced labour and trafficking – unsettle and potentially enrich legal analyses of regulatory regimes. In it, I explore two dimensions of unfreedom in contemporary labour markets that have received less attention than issues of implementation and enforcement. First, I examine how jurisdiction constructs, and is produced by, socio-spatial processes that are more-than-territorial, and which normatively shape what counts as work and who counts as a worker. Second, I apply these insights to an examination of how climate change, as a set of processes that overflow state boundaries and produce localized, material vulnerabilities to forced labour and trafficking, might problematize approaches that posit de-territorialization as the solution to jurisdictional conundrums.